There can be no doubt that Cristina García, author of five novels, and a National Book Award nominee, is a writer of very considerable talent. And by all accounts, her novel, “King of Cuba,” which she has now adopted into a play, is an admirable work. As incarnated on the stage of Central Works (Berkeley’s “New Play Theater”), “King of Cuba” is flawed but extraordinary, and features a truly dazzling performance by Marga Gomez as El Comandante, a thinly disguised caricature of Fidel Castro. Perhaps because this is García’s first play, it seems to suffer from an effort to include everything. Characters proliferate. Small, perhaps unnecessary scenes, are included in an effort to create as much Cuban ambience as possible, and there is a general feeling of clutter which takes away from the central spine of the piece: a confrontation between El Comandante and a Cuban exile growing old in Miami, Goyo Herrera. When actors Marga Gomez (ElComandante) and Marco Aponte (Goyo Herrera) cut loose with García’s beautifully composed, riotously funny monologues, magic happens. As the monologues become increasingly complex and revealing, the plot gradually moves the men to an inevitable confrontation in Havana. A strong company of supporting actors create a variety of additional characters including family members, political hangers-on, Havana street people, rural Cuban citizens, and more. All of this is well done and engaging, but tends to cut the suspense. Still, nothing can stand in the way of Marga Gomez’s powerhouse performance. She is astonishing in every detail. She captures charisma and genius, pride and pomposity, wisdom, egomania and more in what can only be described as a star turn. Her Commandante is riveting in every detail, climbing from strengh to strength like a mountain goat leaping its way to the top of a cliff as we watch wide-eyed and breathless. That she is crossing gender boundaries to play a man is not relevant other than as a testimony to her amazing virtuosity. This is in no way a “drag” performance of any sort; the character is the aging, macho, Commandante. Period. This is a performance of such fluidity and insight, it leaves one agog. And that is where I give up the adjective hunt. Let’s just say, Gomez’s charactization is a superlative piece of work. “King of Cuba” continues an extended run through August 26th (limited seating available). For further information, click here. 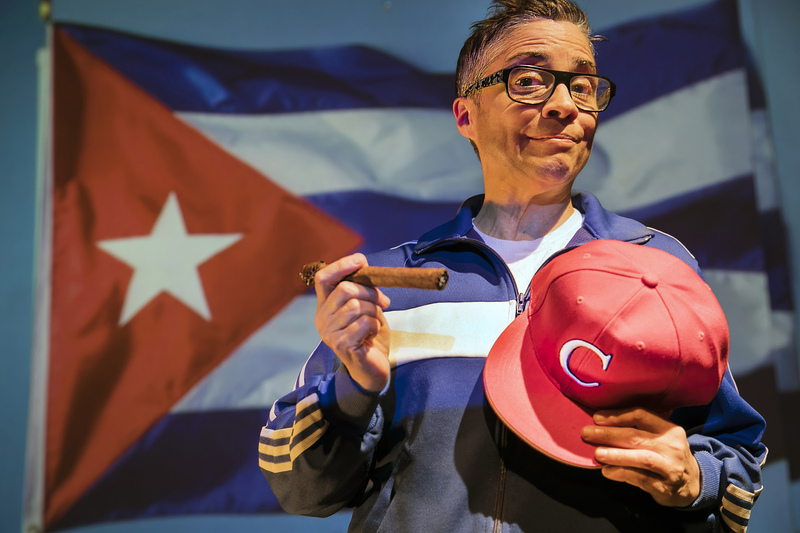 “King of Cuba,” a world-premiere by Cristina García, presented by Central Works New Play Theater. Director: Gary Graves. Costumes: Tammy Berlin. Lights: Gary Graves. Sound: Gregory Scharpen. Properties: Debbie Shelley. Goyo: Steve Ortiz. Angel/Hustler/Crab Catcher/Babo/Director/Prisoner/Poet/Radio Voice: Ben Ortega. El Commandante: Marga Gomez. Fernando/Goyito: Marco Aponte. Alina/Street Vendor/Artist/Tersita/Dentist: Elaina Garrity. Street Vendor/Delia/Crab Catcher/Airline Attendant/RussianT ourist/Museum Guard/Waitress/Tour Guide/Luisa/Mami’s Voice: Leticia Duarte. 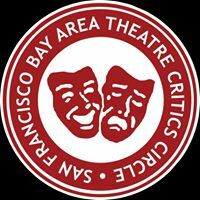 Posted in Reviews.Tagged Bay of Pigs, CarlosCaro, Central Works New Play Theater, Charles Kruger, Cristina Garcia, Fidel Castro, King of Cuba, Marga Gomez, theatrestorm.